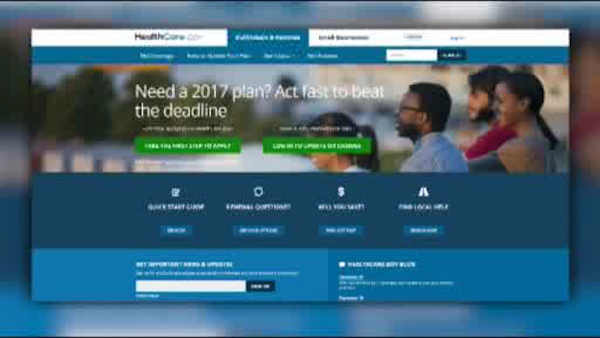 WASHINGTON, D.C. -- Overnight Tuesday is the deadline to sign up for coverage under the federal health care law. Even if the ultimate fate of "Obamacare" is uncertain, there's been no change for this year. About 11.5 million people had enrolled as of Dec. 24. The deadline is midnight Pacific time in the 39 states served by HealthCare.gov, the government said. States with their own insurance websites may have different deadlines. Although premiums are up significantly this year, more than 8 in 10 customers get subsidies, and more than half qualify for extra help with deductibles and copays. President Donald Trump and congressional Republicans have promised to repeal and replace the Obama-era law, but without creating disruptions for millions already covered. Consumers can enroll online or call 1-800-318-2596.